Manchester United are planning a move for Filipe Luis. According to the football transfer rumours in British media, Manchester United will look to sign Atletico Madrid left-back Filipe Luis. The Brazil international was signed by Atletico Madrid in July 2015 from Chelsea for a fee of 16 million euros. The 33-year-old has a contract until 2019 with the club. 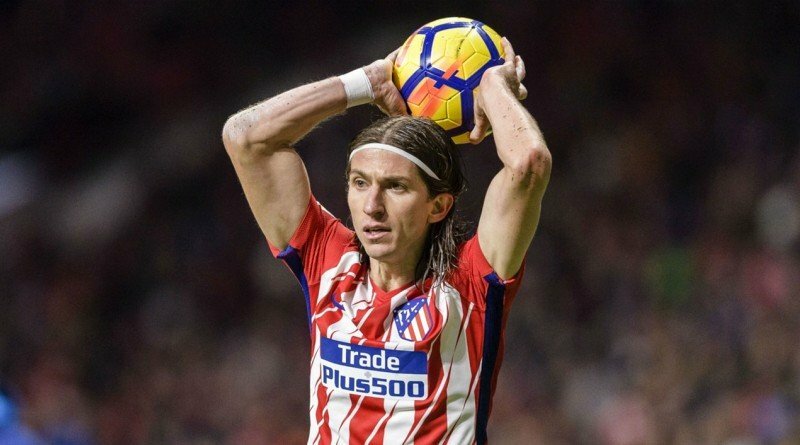 Filipe Luis made 312 appearances across all competitions for Atletico Madrid, scoring 12 goals and supplying 27 assists in return. As a member of Brazil national football team, Luis won 37 caps and he scored two goals. Jose Mourinho is looking to shore up his defensive options and Atletico Madrid’s left-back happens to be a target. Atletico Madrid are not in a position where they need to sell and would like to keep hold of the left-back, but right offer may force the club to consider a deal. Stylistically, he would be a great fit in Manchester United. It will be interesting to see whether Manchester United will make their move during the winter transfer window.